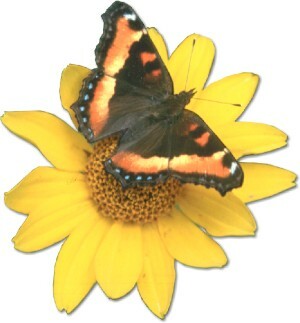 Welcome to the Living Prairie Museum's "Butterflies of Manitoba"
Click the links below. You'll find lots of information on these beautiful flying insects. Be sure to look for links on each page that let you see larger pictures, videos or other special features. Explore and enjoy! This project was made possible by support from Manitobas Heritage Grants Program and the Sustainable Development Innovations Fund. 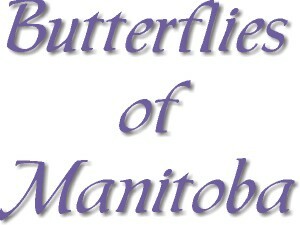 Butterflies of Manitoba - Comes to you! The Butterflies of Manitoba is also available as a 10-panel desktop display (English and French versions) and as a digital display (Microsoft Power Point, both languages). Our experienced interpreters can present this program to all age levels. Additional supporting materials include: insect costumes, preserved butterfly specimens and butterfly gardening brochures. Visit the Living Prairie Museum's web site. A project of Winnipeg's Living Prairie Museum and Nature North, funded in part by Manitobas Heritage Grants Program and the Sustainable Development Innovations Fund. Design, layout, content and HTML programming by Doug Collicutt. The following provided photographs used in this project: Doug Collicutt, Peter Taylor, Will Cook,Tom Allen, Insectimages.org, Monarch Lab, Ecological Monitoring and Assessment Network. Copyright © - The Living Prairie Museum 2003 - 2016.